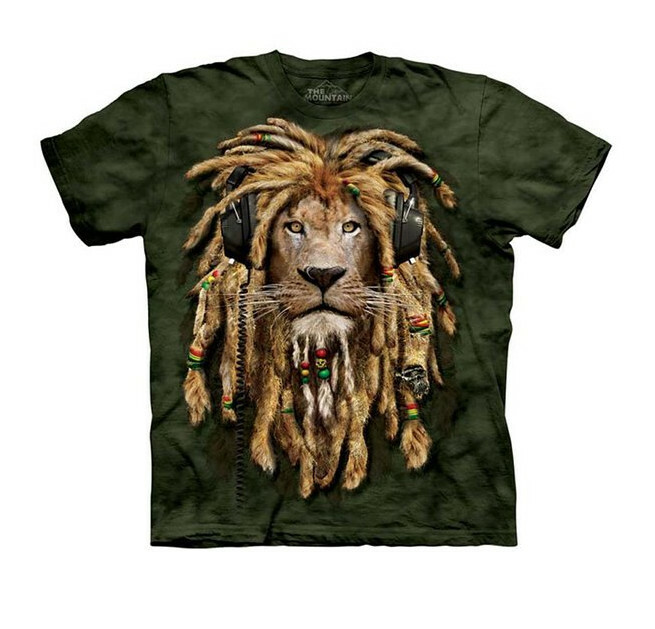 This Rastafarian Lion is jammin' with his headphones on! King of the musical Jungle! After just one wash you will not know where the print ends and the shirt begins. Our unique printing process actually pulls the dye color out of the shirt and leaves the ink color behind, essentially dyeing the cotton with the ink. The Mountain Youth T-shirt has reinforced double-stitching on all seams. This heavyweight 100% Cotton tee will last your child years and years. Treat your loved ones to The Mountain youth tees.